Create looks that linger on for seasons. 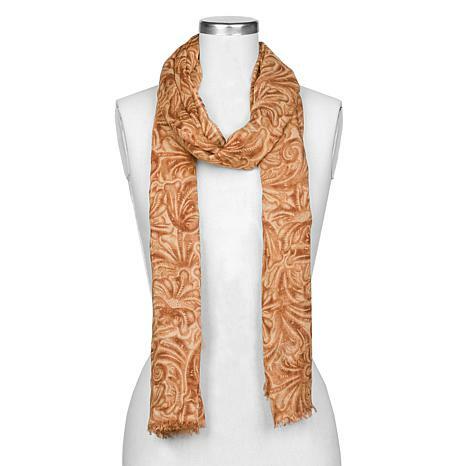 This rich, tooled-print scarf refreshes your staples so you have longevity in your wardrobe. Let it lay over your coats in fall, your tops in spring and your tanks in summer. 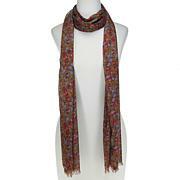 I love wearing this scarf looped around once, then tied like a necktie a few inches down from the collar bones. It keeps the soft, light, flowy fabric draping beautifully, in place, and looks great in an open jacket. The "cream" color has reddish brown tones that compliment the darker tones in my blonde hair (less orangey than my monitor shows). I may have to get one for my red-headed sister, too! The color goes with so much- browns, mustards, ivory, turquoise, are my faves so far. 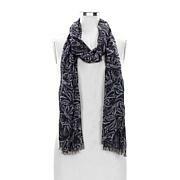 I am such a scarf snob, so of course I had to eventually get my PN fix....I ordered the floral print, crme tooled and navy tooled...these scarfs are so beautiful and light weight (which I love)...I cannot wait to wear themI saw Natalie with a black dress and the black tooled scarf, so now I may eventually order the black tooled and the map print...thank you PN! Nice and long, a must. I have a finger tip coat and the color is peacock/blue and hard to find a scarf that compliments it. Found it! Four not five stars due to the price. I never spend this much for a scarf but I couldn't find anything. Price reduction??? Kim Isaacsohn, Head Coachman of Clever Carriage Company, absolutely loves crewel embroidery. 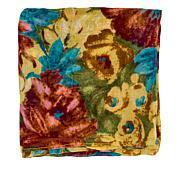 This wrap is embroidered with gorgeous flowers on luxurious wool. 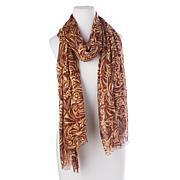 It is large enough to wear as a wrap or a scarf and adds a pop of color to any outfit this season. You won't find anything else like it!